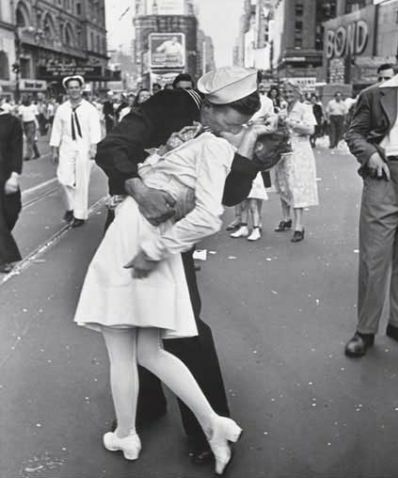 Today marks the 73rd anniversary of Victory Over Japan (V-J) Day and the end of World War II (the formal, unconditional surrender was not signed until September 1, 1945). Stop and remember the brave men and women who fought against the evil of Nazism and Japanese militarism in the 1940s. Remember too our brave soldiers today who are fighting against another form of evil and keep our soldiers in your prayers. Also read the text of President Truman’s radio message broadcast to the American people on September 1, 1945. The thoughts and hopes of all America–indeed of all the civilized world–are centered tonight on the battleship Missouri. There on that small piece of American soil anchored in Tokyo Harbor the Japanese have just officially laid down their arms. They have signed terms of unconditional surrender. Four years ago, the thoughts and fears of the whole civilized world were centered on another piece of American soil–Pearl Harbor. The mighty threat to civilization which began there is now laid at rest. It was a long road to Tokyo–and a bloody one. Read it all as well.